You’re probably watching what you’re eating and do not want to follow any fads. Ever pondered that there may be food that burns kilojoules and to add to this awesome benefit, contains favourable nutrients. We’ve compiled a list of some of these remarkable foods that you should consider adding to your grocery list if you’re looking to burn kilojoules with little effort. Below, we’ve compiled a list of some of these foods to help you stock up your pantry. It may seem like a fad, everyone is adding this superfood to their diet but there are numerous health benefits that chia seeds boast. Chia seeds are rich in Omega 3(but not as rich as fish), contain antioxidants, high in protein, long chain amino acids and are high in fibre. Chia seeds’ kilojoules are clean and assist in weight loss, provided you follow a balanced diet with low kilojoule intake. Ways to enjoy: Use chia seeds as a topping to salads or stir-frys. Add them to your granola cereal, oats or smoothies. You can even add to drinks like homemade lemonade or water. Berries are low in fat and are great for boosting metabolism, they are loaded with fiber and antioxidants which help keep your mind sharp. The water in the fruit helps to keep you fuller for longer and the delicious sweet taste contains only a few kilojoules. Strawberries have a high vitamin C content and blueberries and blackberries, in particular, have the highest levels of antioxidants. 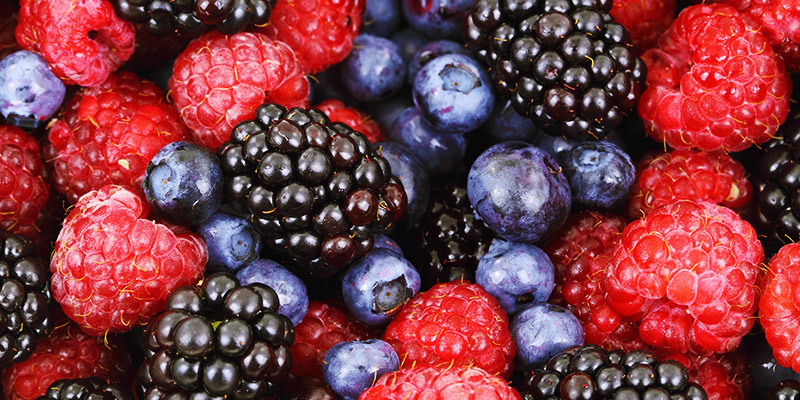 Ways to enjoy: Berries can be enjoyed in a number of ways, you can juice them, add them to your breakfast, smoothies or simply enjoy them as they are. Cucumber is probably at the top of the list of negative kilojoule foods. Cucumber is energy-boosting and contains mostly water which, again, helps in keeping you fuller for longer and also have hydrating properties. Cucumber eliminates accumulated toxins from the bloodstream and gut. It is naturally low in carbs, kilojoules, sodium, cholesterol, and fat. Cucumber also contains lignan, which assists in fighting cardiovascular disease and assists the liver to remove impurities. Ways to enjoy: Cucumber has to be the easiest ingredient to incorporate into your meals. Simply chop and add to your salad, mix with yoghurt, lemon, garlic and dill to make your own tzatziki or enjoy on its own as a snack. There are so many ways whole grains and legumes can be added to meal plans and their fibre content helps to keep you full for long. Whole grains and legumes are a great kilojoule-burning pair. They are fat-free and help to regulate the digestive tract. Legumes are a great source of protein and are low in kilojoules. Ways to enjoy: Add legumes to your salads and wraps, simply boil them and add salt for seasoning. Swap your white rice for quinoa, barley or bulgur. For breakfast, mix oats together with assorted seeds and roast them for extra flavour. Green tea has a multitude of health benefits and can help burn kilojoules. Green tea has a high concentration of polyphenols which are the active ingredients linked to weight loss. They are said to prevent the build-up of body fat, in addition to increased body temperature which assists in burning kilojoules. Ways to enjoy: There are so many ways to enjoy green tea beside just adding hot water to a cup with a teabag. You can add green tea to your smoothies, enjoy it cold (ice-tea) or add lemon or mint for extra flavouring. To assist these foods with the burning of kilojoules, regular exercise is always recommended. Exercise not only improves your health, it reduces the risk of diseases as well. You can start by taking a walk and as time goes increase your exercise regime accordingly. Keep in mind that results may vary as we are of varying body types, metabolisms and different goals for wanting to consume kilojoule-burning foods. Keeping a positive outlook will also make things a whole more fun.